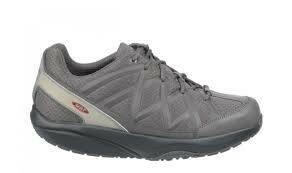 The MBT Sport is breathable, agile and athletic. A mixture of synthetic leather and mesh uppers finished with a mesh footbed, the signature MBT® patented rocker sole and non-marking outsole. 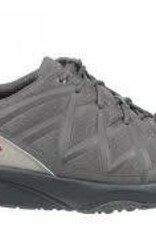 The natural instability of the unique MBT® (or Masai Barefoot Technology) sole imitates walking on soft, uneven surfaces. The technology in the sole has been patented worldwide to provide the greatest comfort possible, as it allows you to enjoy the natural benefits of walking every day.